Many organizations today are tuned to adopt a blended learning approach for their training strategy. 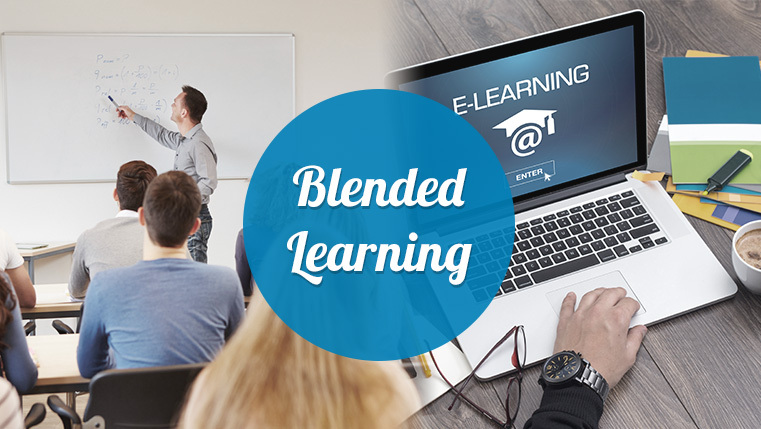 Reasons are the inherent benefits associated with blended learning, which include meeting the learning expectations of employees. It gives them flexibility in learning because the mix of training approaches gives them an opportunity to complete the training as per their convenience. Using a blended learning strategy helps organizations customize the training program based on employee needs, rather than adopt a universal training program. Implementing a variety of approaches makes it easier to tailor and schedule the training program for employees at different levels in the organization. 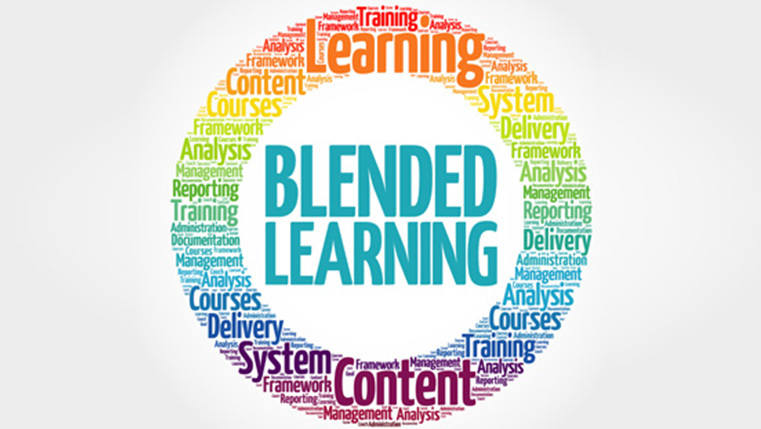 The blended learning approach is multidimensional; the variety of instructional styles can cater to various learning styles.Considering these advantages, if you have decided to adopt a blended learning approach to start with training employees in your organization, it is but natural that you would like to design the learning in a way that will bring the maximum benefits. Every task is assessed on these parameters to help decide the appropriate blended learning design that will have an impact on these factors and lead to better performance. If a task is performed frequently, it implies that the employee must know how to perform the task from day one at his job. He has to be provided a structured learning experience that will include information on the task, demonstration of how it is done, and opportunities to practice the task with the help of coaching and feedback and assessments to gauge his proficiency. However, if the task is performed infrequently, the learners will require a refresher course periodically so that they can recall what they have learned. In such cases, it is important to provide performance support so that employees have access to a quick reference tool when they are performing the task. The same applies for importance. A task that ranks high on the importance scale indicates that training is crucial if employees have to do the task in the right manner. They have to be trained using the structured learning approach mentioned above. If the task ranks at the lower end of the importance scale, training support in the form of just-in -time resources or job-aids will suffice. For instance, the list of tasks a salesperson performs as part of his daily routine includes talking to prospective customers about the product and he must do it well as it is highly important to his performance; hence we need to provide a structured training program that will include product training, sales strategies, and processes. Citing another example, processes are a category of tasks where frequency and importance are significant parameters. Processes in a business can include manufacturing processes, supply chain, or business processes. If a process is performed frequently, then it is important to provide process training in a structured way and performance support in the form of job-aids is crucial to help employees perform the task efficiently every time. However, if the process is not performed regularly, employees will need to be given refresher training from time to time to ensure they remember the process and can do it right whenever required. If the task is difficult to learn, it calls for providing a well-planned training program to the employees. This would require a structured approach and may need the intervention of an instructor. The training should ideally provide them opportunities for repeated practice and social collaboration and sharing so that the learning is enhanced. If the task is easy to learn, the training would basically be self-directed or just providing information to the employee on how to do the task. One of our clients, a precision instrument manufacturing firm deals with complex products. The e-learning interventions they use for employees include online courses, product videos, process videos, and infographics so that sales and service technicians are well trained on the product to deal with customer requirements effectively. If a task is of high risk, then structured training is required. Training has to help the learner understand the consequences of not performing the task in the right manner. For instance, if the training is on how to operate an electric saw, the learner should be informed of the consequences of not holding the saw in the right manner, which can lead to injuries. The learner should be given opportunities for practice and provided detailed feedback and coaching so that he can perform these tasks efficiently. However if the task involves very less or no risk, then self-directed learning is the solution. The risk factor is relevant to compliance training; employees need to be trained to perform the tasks that have high-risk implications in a perfect manner to avoid consequences such as bodily harm, legal actions, or loss of business. So, training them on the clarity of consequences is crucial. It makes sense to design a blended approach that will include instructor-led training, with a structured learning experience. The training should communicate the clarity of consequences to the learner, especially on the risk factor. This can be combined with an e-learning course that is highly interactive that can include scenarios where employees can apply their knowledge. Social learning can provide opportunities for collaboration, sharing, support, and communication. If the parameters vary, suppose a task is done on a monthly basis, highly critical, somewhat difficult and is of low risk, it will need a structured learning experience combined with just-in-time access for performance support. A task that scores low on these parameters will not require any training intervention but employees should be provided performance support and opportunities for self-study. A job task inventory will help you the analyze tasks to be performed by employees based on these parameters and your findings will influence the design of your blended learning strategy to bring the desired results. So you have to do your homework right. What do you think? Share your views with us.